Situated in the south of central Shanxi Guanzhong Plain, Xian has the Weihe River in the North and the Zhongnai Mountain to the south. Built over 3.100 years ago, Xian is famous for its rich history as one of the seven famous ancient capitals of China. It is characterized of moderate climate and beautiful landscapes. Xian (known as Chang-an in ancient time) is also the origin of the famous ancient Silk Road wrote in Travels of Marco Polo. The well-known Terracotta Warriors of the first King of China are located in Xian City. 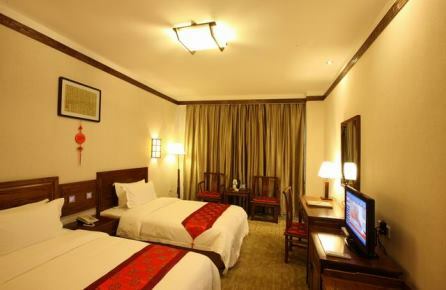 Xi'an Tang Dynasty Art Garden Hotel situated in center of Xian city, the perfect start to discover the wonders Xian has to offer. With only 50 rooms, Xi'an Thang Dynasty Art Garden Hotel will give you a cozy feeling with a luxury touch. After a day sauntering around in Xian, you can relax in the in-closed garden en re-think the wonderful things you saw today. The Big Wild Goose Pagoda at only 200 meters away, It is easy to just walk there. When you are in the Xi'an Tang Dynasty Art Garden Hotel, don't forget to visit the impressive Terracotta Warriors from Xi'an! Xi'an Tang Dynasty Art Garden Hotel in Xian! Part Hotel makes Xi'an Han Tang House the perfect mix of the livelihood from the youth combined with the style you prefer. 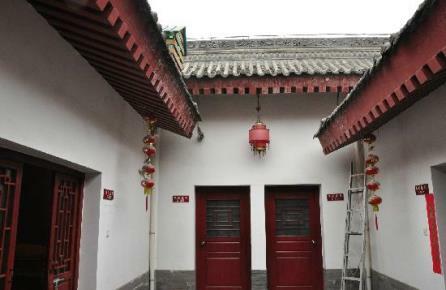 Located in de city center of Xi'an, makes this 37 rooms counting charming complex a perfect locations to start your discovery trip through out Xi'an. Because of the location of Xian Han Tang House it's really easy to discover the city by foot and taste the atmosphere will a walking around and be part of it. With the bus stop only 1,8 kiloneter away, you can easily go around and take the maximum out of your stay in Xi'an. Like the hassle of the city, but love to relax in an oasis of peace and quietness? Don't look any further and come over to stay at the Garden Hotel. Located at 5 kilometers of the city center of Xi'an, the Garden Hotel is in-closed by beautiful parks, were you can reload from all the new impressions you had. 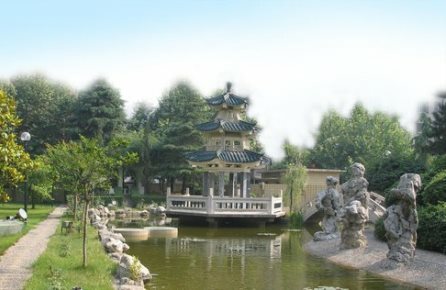 Bus stations are at walking distance from the Garden Hotel and when you like to discover by foot, you've have the Tang Dynasty Boulevard with opposite the Wild Goose Pagoda, nearby. 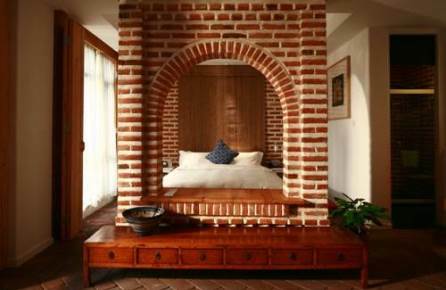 This brick-stone building gives you the cozy warm feeling. Located at the Gaoxin District, only 5 kilometers away from the city center of Xi'an, makes Zuo You Ke Theme Hotel the perfect point to start your adventure to discover all the wonders of Xi'an such as. Offcourse you will find The Warrior Army, but did you think about visiting the Golden Eagle and the Mutasi Relic Site? 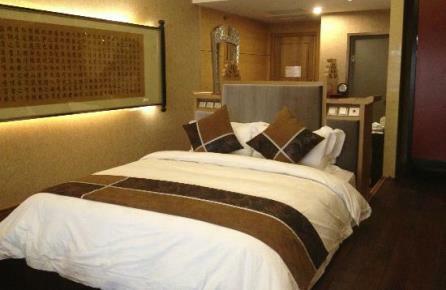 Zuo You Ke Theme Hotel in Xian! Xian Myfo Wan Shun Yuan Inn a charming and quiet hotel in the middle of the Muslim food district. 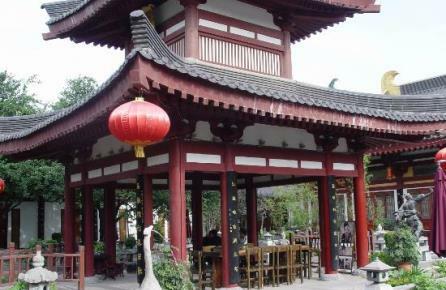 Several interesting touristic attractions like the Bell and Drum Towers are in the vicinity of the Wan Shun Yuan Inn. Because it's located in de city center of Xi'an you will feel the hustle of the city, go with this bustle and start wandering through Xi'an and let the spirit of the city lead you to the most impressive places. Wan Shun Yuan Inn in Xian! If you are looking for a place to stay in City Midst, Lemon Hotel, with its' wide but charming rooms, provide you with all the facilities you are looking for. If you like to combine your daytime cultural impressions with the lively nightlife of Xi'an, Lemon Hotel is in the right spot for you. In a 10 minute walk you will reach the Drum and Bell Tower, with behind the night market. While strolling around, you will tumble over a lot of nice and interesting places. 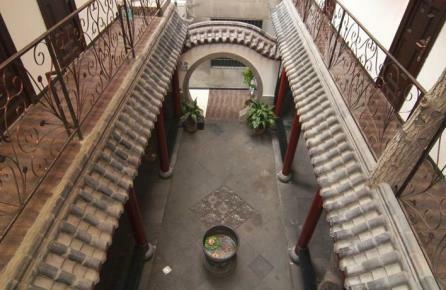 The Xian Jano's Backpackers Hotel is located in the heart of the city of Xian. 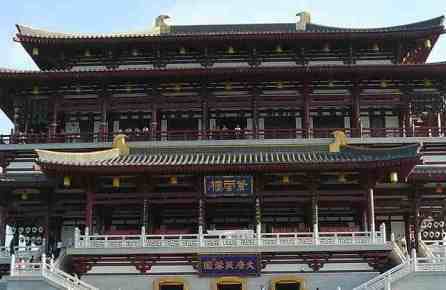 The hotel is established in an traditional Chinese style. The 50 rooms of the Xian Jano's Backpackers are comfortable and have all the facilities to make you comfortable during your stay in Xian. The Forest and Stale Museum, Yongning Men Gate and the Beilin Museum are all close to the hotel. Subway station Yongning Gate is at 5 minutes walking from the hotel. Xian Jano's Backpackers in Xian! 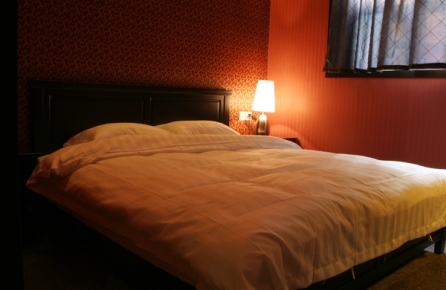 Located in the center of Xian in the vicinity of many interesting touristic atractions such as the Wild Goose Pagoda and Tang Paradise, the Ci'En Hotel is a charming and peaceful hotel. The rooms of the hotel are specious and clean, all together the Ci EN Hotel is an excellent choice when you are visiting Xi'an. Besides the facilities of the hotel subway station Hamlet is close to the hotel so it is easy to travel form one point to another. Ci En Hotel in Xian! Tangdi Boutique Hotel, is one of those places you will not quickly forget. After a full day in the city of Xi'an you will come back to an atmosphere that combined luxury with a touch of nobility. Having your diner at the rooftop you can still feel the spirit of the city, but you will enjoy it from a distance. With only 52 rooms, the staff of Tangdi Boutique Hotel, will do the best they can to provide in your personal wishes to take the best out of your trip to Xi'an. Tangdi Boutique Hotel in Xian!